As a Verizon recognized Independent Test Laboratory (ITL) under Verizon’s NEBS Testing Certification Program, NTS Silicon Valley is certified to conduct NEBS testing to various sections of the GR-63 CORE standard on telecommunications equipment to be sold for use in Verizon’s high-I.Q. network. The scope of testing in Newark, CA currently includes Sections 4.1 – Temperature, Humidity and Altitude Criteria; 4.3 – Equipment Handling Criteria; 4.4.4 – Office Vibration Equipment and Criteria; 4.4.5 – Transportation Vibration Criteria; 4.6 – Acoustic Noise; and 4.7 – Illumination with the remaining GR-63 scope of tests to be added later this year. NTS Silicon Valley’s Fremont, CA location is currently equipped to perform testing in accordance with the latest revisions of GR-1089-CORE as well as other industry and government standards. 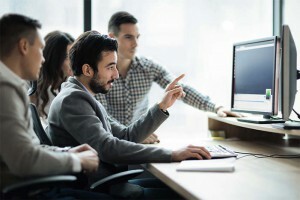 The NEBS-related services that NTS Silicon Valley is approved to provide to Verizon manufacturers include the development of test plans, conducting of tests and reporting of product compliance with applicable standards. Under Verizon’s NEBS-TCP program, telecommunications equipment manufacturers are required to select approved ITLs, such as NTS for the testing of their products. NEBS is a set of standards designed to ensure the performance, safety and regulatory compliance of telecommunications equipment subjected to earthquake, fire, corrosive environments, thermal, EMC and other damaging environments. Verizon established its approved ITL program to recognize independent laboratories that have met its quality standards for NEBS testing. With the approval of the NTS Silicon Valley laboratory, NTS has seven laboratories approved for the Verizon ITL program, including two international locations. NTS’s other Verizon-approved ITL laboratories are located in: Boxborough, MA; Tinton Falls, NJ; Plano, TX; Fullerton, CA; Calgary, Canada; and Munich, Germany. The Silicon Valley / Elliott Laboratories division of NTS has facilities in Fremont and Newark, CA. National Technical Systems, Inc. is a leading provider of engineering services to the aerospace, defense, telecommunications, automotive and high technology markets. 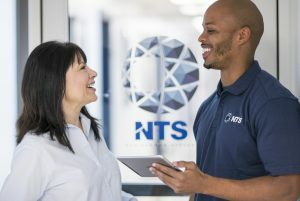 Through a world-wide network of resources, NTS provides full product life-cycle support, offering world class design engineering, compliance, testing, certification, quality registration and program management. For additional information about NTS, visit our website at www.nts.com or call 800-270-2516.